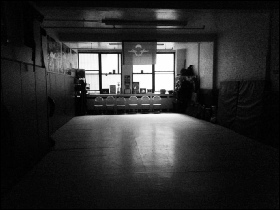 If you are a stunt coordinator or production interested in renting our space, please contact us. We are very glad to work with you and help you meet your needs. 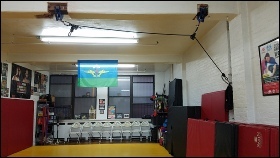 We have an intimate matted space with a wide wide range of mats, pads, targets, trainer and prop weapons, scaffolding for low falls, and basic rigging for hand pulls (two elevated pick points and a ground point) at your disposal. Our private facility is suitable for hosting workshops, rehearsals, auditions, previz shoots, and much more. We are conveniently located in midtown Manhattan near all major transport hubs. If you are a stunt coordinator, casting director, or production looking for a performer with a particular look or skill? We may be able to help you. 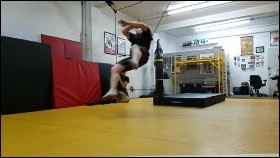 As one of NYC’s most attended open training locations for stunt performers and action actors, we may know someone who fits the bill for you. Feel from to reach out to us and we will see if we know anyone you might be interested in. Need to brush up on your fight skills? Get you cast trained up? 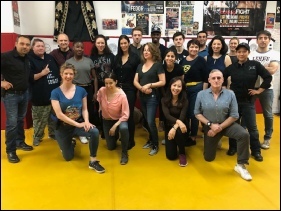 Breakfall Studios offers private lessons and workshops to help get you where you need to be with your fight and falling skills. Stephen Koepfer has been involved in film and television production since 2007, a service which he brought to Breakfall Studios. He first started as a technical adviser for such television programs as The Human Weapon (History Channel, 2007) and Dhani Tackles the Globe (Travel Channel, 2009). Stephen later produced several award winning documentaries including New York Mixed Martial Arts (2011), which was distributed by FilmBuff and included on Hulu’s catalogue for many years; Girl Fight: A Muay Thai Story (2015), now available on Amazon Prime; and Concrete and Crashpads: Stunts in New York (2016), available on Amazon Prime and Vimeo On Demand. 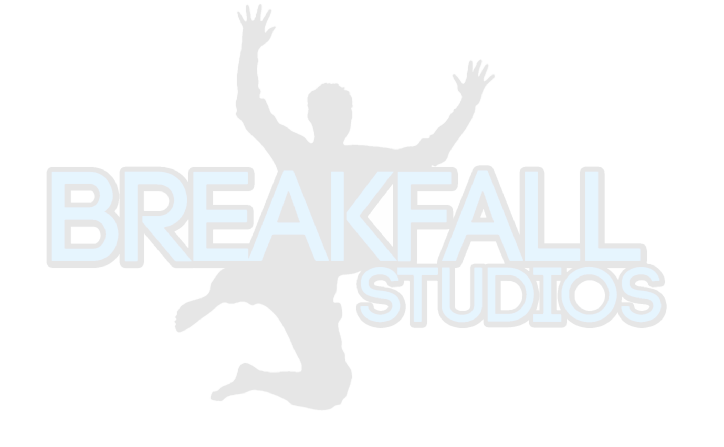 Since it’s creation in 2015, Breakfall Studios has been involved with various aspects of production for student film, television, web, film and independent film in roles including executive and line production, technical advisement, fixer, casting, action design, set security, etc. If you think we may be able to assist with your project, please reach out to us. Stephen planned and choreographed a fight scene for my pilot “Little Hope.” He was so easy to work with and made my actors feel incredibly comfortable, well trained and confident. It was a scene that I was concerned about, but the moment I met Stephen, the worry went away. He works with directors to give them exactly what they want, how they want it (works with angles, etc. to make sure the choreography fits the scene the way you plan to shoot), but still maintains an extremely safe set. I’ll definitely call Stephen and Breakfall Studios for all my future fight scene needs!